Brief introduction from a representative from each utility and government agency present on the one topic they would most like to discuss during the roundtable and the 1 item that they would most like to learn or share during this event. Facilitated discussion that includes what are anticipated to be greatest customer program challenges in 2014 and other topics identified most in earlier discussions or “written in” during the survey. Administration in April 2013. He is responsible for managing the non-profit federal agency, which delivers power from 57 power plants operated by the Bureau of Reclamation, the U.S. Army Corps of Engineers and the International and Water Commission to the western region of the United States. Gabriel has more than two decades of leadership experience in the electric sector and was most recently the Chief Executive Officer and President of Power Pundits LLC in Conifer, Colo., a management consulting firm specializing in the energy industry. Previously, Gabriel was the Senior Vice President for Black and Veatch Management Consulting, developing industry solutions in the areas of electricity, water, oil and gas and cyber security. He is a well-known speaker and writer and his book, Visions for a Sustainable Energy Future, won the 2009 Indie Excellence Book Award for Environmental Writing. Discover early results from a new program to address the issues of apathy and anger utility customers are feeling about energy efficiency programs. The program uses principles of behavioral science, speaking to customers according to their drivers, recommending individualized, prescriptive actions based on their situation. Learn how a utility is partnering with allies to bring together towns, businesses, and community organizations to focus on reducing residential energy use through behavior change activities. This unique offering ties together utility energy efficiency programs, Home Energy Reports, and grass roots outreach. Explore best practices in community based social marketing to drive customer behavior change. The presentation will cover both energy efficiency and renewables, and will present case studies from Denver and the Front Range region. Learn the measured energy savings and customer satisfaction results after completing over 750 home efficiency projects in the Fort Collins Home Efficiency Program that has led the way for rigorous installation standards, contractor training and quality assurance. Overview of program background, components, results (# of homes reached, modeled savings and actual savings from program), utility partnerships, and benefits of partnership. Discussion will include post-grant plans for continuing program. Candid insight into the promise and challenges of embracing analytics as the next frontier in driving commercial energy efficiency savings. Several leading companies are bringing together Big Data analytics, building science and software development to create new platforms for driving mass-scale energy efficiency. Compared to traditional approaches, such new platforms are already transforming commercial efficiency programs, providing 20%-25% savings across buildings at a 75%+ cost and time advantage over their predecessors. However, while the breakthroughs in technology and customer delivery are numerous, the new approaches are not yet widely understood. Consumer Perceptions of Government Energy Subsidies and Utility Energy Use,Christopher Craig, CLEAResult.Learn results of a phone survey completed by 2058 utility customers. The survey gauged the effectiveness of various message strategies on respondent’s purchasing of CFL bulbs and increasing respondent awareness about utility programs. Gender, party affiliation, and message framing significantly impacted customer perceptions. 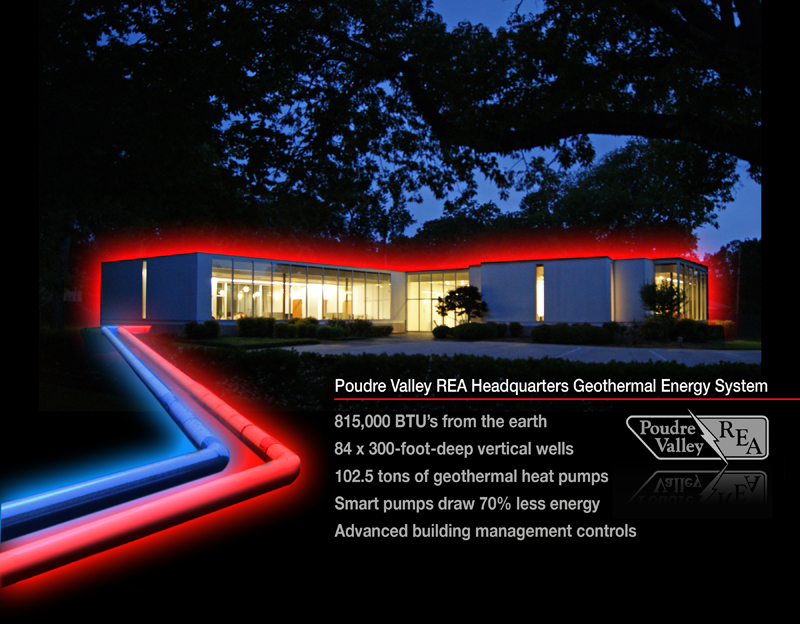 PVREA Headquarters Converts to Geothermal Heat Pumps, Gary Myers, Poudre Valley Electric Association. Learn how a utility accomplished a comprehensive energy upgrade to its main office, going from air source to geothermal heat pumps and more. Taking TRMs to the Cloud: More Effective and Transparent Measure Data Management,Tyler Hammer, Nexant. 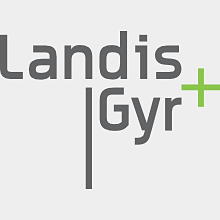 Discover a new technology approach to access and manage online a comprehensive set or library of energy efficiency measures and documentation. This approach helps more effectively manage and maintain prescriptive measure values in an efficient and transparent manner. Legislative Policy Promoting Renewable Thermal Energy, Paul Bony, ClimateMaster and Joel Poppert representing the Solar Thermal Alliance of Colorado. Learn how several states have passed new legislation promoting the accelerated adoption of renewable thermal energy, and get updated on Colorado efforts in this regard. Discover the drivers behind this new legislative focus, review new legislation incorporating renewable thermal energy into Renewable Portfolio Standards and Demand Side Management mandates. Discover the opportunities these new legislative efforts can offer utilities! Walking the Home Performance Talk, Tiger Adolf, Building Performance Institute, with Ed Thomas, UtilityExchange.org. Hear the story of their own energy retrofit, intended to demonstrate best practices, gather data and set an example for the neighborhood. Learn Open House tips and how to use a "Comfort Club" to drive competitive neighbors to participate. New Model for Delivering Home Energy Retro-fits, Deacon Taylor, Sangfroid. Gain insight into how a new process for complete home energy retro-fits in the Colorado market is delivering real results for clients and utility programs. Community-Owned Solar Success Stories, Bart Rupert, Clean Energy Collective. 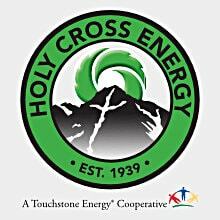 Highlight of the advantages of community-owned solar as a valuable program for utilities and their ratepayers, profiling the first program in the nation which was established by Holy Cross Energy and Clean Energy Collective. 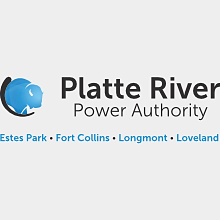 Additional programs include: San Miguel Power Association, Poudre Valley REA, Colorado Springs Utilities and Xcel Energy. Aligning Community Energy Planning With Utility DSM Programs, Susan Blythe, Brendle Group. This new program provides an energy efficiency planning framework to pilot communities that includes community-specific energy strategies aligned with Xcel Energy’s DSM offerings. Expected program outcomes include: increased efficiency across participating communities, increased DSM program uptake, a favorable total resource cost value, and enhanced utility-community relations toward common energy goals. Campus Roadmap of Smart Efficiency Measures, Stephen Walker, Carbon Neutral Group. The initiative will focus on the growing demand for addressing key challenges at the core of the climate change issue: e.g., developing and expanding energy efficiency capacity at a campus level, instituting an effective and efficient multilateral energy efficient and recommissioning investment and innovation program tailored to individual colleges and universities in the state of Colorado; in order to achieve a goal of 25% reduction in water, electrical and natural gas consumption in a six year timeframe. Xcel Energy Commercial Refrigeration Program -- Development, Launch, Early Results, Michelle Beaudoin, Xcel Energy and Marisa Ceppi, Franklin Energy. This program is designed to help customers address energy conservation opportunities in facilities with refrigeration intensive energy use profiles, where refrigeration systems make up over 50% of the facilities energy use (grocery, convenience, liquor and restaurants). Franklin Energy will discuss the program delivery model, launch activities and early program results. A Million Solar Roofs for the State of Colorado; Colorado Solar Energy Industries Association's plan to achieve this market making goal, Piper Foster, Amatis. In February 2013, COSEIA announced the ambitious goal to install One Million Solar Roofs by 2030.The goal is to provide about 3 Gigawatts of solar energy in Colorado by 2030 through a combination of photovoltaic electric systems and solar thermal heating and cooling systems. They want to encourage and enable solar energy of all kinds and all sizes—from small arrays on homes to large utility-scale projects, and from community solar gardens to industrial rooftop projects. Residential Retrofit Programs - What Works and What Doesn't? Learn results of field research on various outreach approaches to homeowners, including lessons learned on motivating homeowners to complete energy upgrades. Learn how utilities and manufacturer teamed to introduce a new technology to retrofit existing roof top units and improve performance by over 40%! Discover how the advanced RTU controllers save energy and how the utilities plan to develop new incentives. HPXML is a scary-sounding acronym, but it is going to be your new best friend. Hear how NYSERDA, LEAP, Arizona Public Service Company and others are now using HPXM to collect and transfer data between contractors and programs. Cutting through the technical jargon, you’ll learn what you need to ensure your program enjoys free-flowing data and best-of-breed software tools. 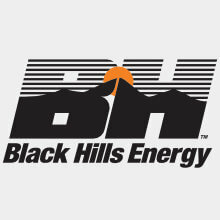 Learn how Black Hills Energy's Small & Medium-Sized Business Program in Colorado gained the support of the Latino business community. We’ll discuss the partnership that was forged with the Latino Chamber of Commerce, and the integrated marketing plan developed around that partnership. Discover how online technician training changes the game for engaging with the HVAC and Building Performance technical workforce. Learn performance stats and workforce impact of California and Colorado programs. Learn strategies for developing a successful energy audit program based on real-life cooperative utility experiences. Learn why datacenters are good candidates for efficiency investments by utilities to reduce peak loads. The energy consumed by fans, pumps and other cooling components already accounts for some 35-45% of the total energy consumption in the data center. When Xcel Energy revised their Insulation Rebate program with new certification and program requirements, the process was not all easy. 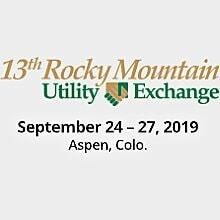 Learn why utilities are interested in professional certification and hear about some of the roadblocks to making it happen. Learn how third-party certifications pave the way for developing a whole-industry workforce, and get an update on the Home Energy Professional certifications developed by BPI with support from DOE, based on NREL’s job task analysis. Discover how Energy Performance Contracting is a good option for updating existing municipal facilities without adverse budget impacts. Learn how a municipal electric utility undertook a large scale energy upgrade in a municipal building. Results from evaluation conducted on predicted versus actual energy savings, lessons learned, and the status of efficiency measures installed on ten multi-family buildings of various size, age, and location that received funding through Colorado’s low income DSM programs. This presentation will cover the EM&V of the efficiency measures, actual energy savings data, how Energy Outreach Colorado administers the low income DSM programs, and the best retrofit opportunities for low income multifamily DSM participants. Hear lessons learned from utility-sponsored program implementation of community solar, refrigeration and lighting applications in commercial facilities and residential communities. Hear how stakeholders are working together to build professional infrastructure for making retrofitting easier for an existing home owner or home buyer. With a network of real estate tools, extending mortgage and loan products throughout the State, and building knowledgeable professionals from building analysts to appraisers, the market is primed for action. Learn how a Minnesota electric cooperative uses solar and battery storage to bring renewable energy into the mainstream without shifting cost to other members. Jeff Ackermann became the Director of the Colorado Energy Office in April 2013. Before that, he led the research efforts at the Colorado Public Utilities Commission, focusing on issues ranging from electric system planning to the effective use of energy efficiency and renewable energy. Prior to the working for the PUC, Ackermann was manager of the state’s low-income DSM programs at the state’s energy office. He provided leadership in this area twice in his career, from 2004-2007 and 1984-1995, at which time he played an integral role in negotiating a state-utility partnership that has been serving low-income households since 1993. Who’s Participating and Not Participating in My Programs Anyways? Explore Fort Collins Utilities’ recent efforts to better understand the demographic composition of its customers, which segments are taking advantage of efficiency programs, which segments provide the greatest opportunity for short-term program expansion and which segments will require new engagement strategies to achieve long-term program goals. Learn about targeting upstream supply channels with descriptions of recent successes, lessons learned, markets best positioned for upstream efforts, and implementation strategies. Discover the success factors, pitfalls, and interworkings of manufacturing, distribution, sales and installation of high efficiency products, and what that can mean for utility programs. Discover how utilities are leveraging new systems and analytics to transform how they manage DSM business processes from back office to market engagement to drive energy savings, reduce cost and improve customer satisfaction. Overview of strides being made in Colorado and nationwide towards developing a well-rounded portfolio of energy financing products capable of addressing varying consumer needs at varying transaction points. Learn how utilities and government are using their already existing services to drive demand for these financing products and increase their effectiveness. Learn about community-wide initiatives designed to achieve widespread deployment of plug-in electric vehicles through innovative public-private partnerships and strong community participation. Learn about Latest technology such as electric pickup trucks that double as on-site generators and transit busses with 300kw/h batteries that charge in 3 hours. 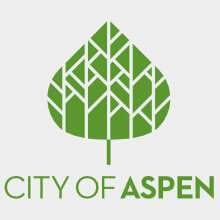 Join us at Brunelleschi's, 205 South Mill Street in downtown Aspen, and bring your name badge for a hosted bar reception. switch~ is a fun, fast-paced event about sharing sustainable-energy ideas. The presentation concept is Pecha Kucha (concise presentation) style, where speakers have only 20 slides and five minutes to present and inspire the audience about their topics. The Rocky Mountain Chapter of the Association of Energy Association Professionals (AESP) has sponsored two successful switch~ events in Boulder, with the third scheduled for October 29. Come hear some of the past presentations, preview future presentations, or deliver your own if you are so inspired.